Slice up a deep red tomato on the vine. 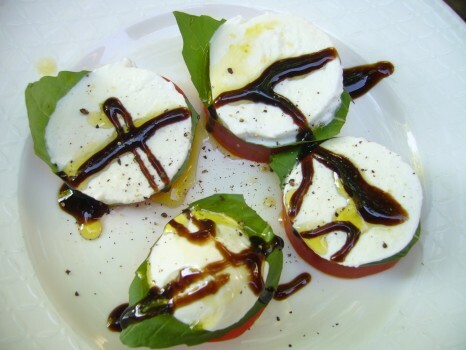 Layer with a basil leaf and a slice of bocconcini. Drizzle extra-virgin olive oil and balsamic glaze on top. A couple grinds of fresh black pepper and you’re good to go! The only thing that would make this even better is a layer of avocado.